Thomas is a mechanical engineering student from Paso Robles CA, in his second year as a transfer student at Cal Poly. He has been a Cal Poly ASME officer for one year and is an integral part of the Engineering Perspectives and Impact conference planning and execution. Thomas plans on graduating in the spring of 2019 with a BS in Mechanical Engineering. Eric is a mechanical engineering student in his third year at Cal Poly and is involved in several clubs and extracurricular organizations. His contribution to the to conference has been paramount to its success and he continues to provide outstanding leadership. Eric's one true love in life is frisbee. Shayna is a mechanical engineering student in her second year as a transfer student at Cal Poly. Her attention to detail has been an invaluable asset to the conference planning team as she has organized the many tertiary elements necessary to run an event of this scale. Wyatt is a first year mechanical engineer at Cal Poly. He quickly got involved on campus and has really enjoyed taking part of different clubs. His enthusiasm and dependability have been a great asset to the team in all the jobs he undertakes. Jacob is a junior mechanical engineering student who has been an incredibly helpful and motivated member of the conference team. His assistance in coordinating outreach to Cal Poly clubs has been integral to promoting the conference and organizing the club showcase. Taylor is a mechanical engineering student and an exceptional contributor to the club showcase coordination effort. His contribution to the showcase planning has been instrumental in its successful execution. Gloria is a second year mechanical engineering student from Seattle, WA. It’s been an aspiration for her to help put on events that will leave people inspired. She has been an integral part of planning the acquisition of conference materials and developing the marketing of the event. Casey is a third year graphic communications student who has provided invaluable assistance in coordinating the professional look of conference literature and marketing materials. Alec is in his third year as a mechanical engineering student here at Cal Poly. He is excited to begin his concentration studies in mechatronics in addition to continuing his required undergraduate courses. 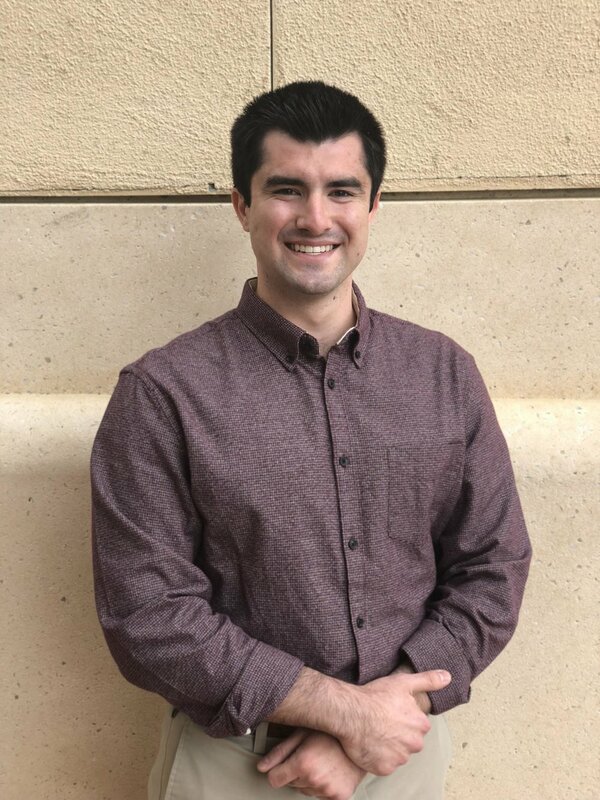 Alec is a new associate to the society this quarter, but is extremely motivated to use his experience in managing extracurricular groups and professional organizations to continue to benefit ASME now and in the future. Natasha is a graduating communication studies student hailing from San Jose, CA. She works for the Industrial and Manufacturing Engineering and Mechanical Engineering departments on campus, and is heavily involved with the Speech and Debate teams.